I have been searching through the search results for clients for writing, and they all offer prices of 2 cents per word and below. I'd prefer to work for 3 cents per word or more. I know you can request people to pay you more per word, but if I see a client claiming that they pay "10$ for 1500 words" I run under the assumption that if I try to negotiate 4 times that price, I would have no chance of getting hired. I don't want to work hard and get far less than what I believe I am worth, but I don't see much choice when the clients are charging so little. What do you all suggest? Any tips? You don't have to work for less than you are worth. I generally ignore the job postings that offer an insultingly low fee. If the work sounds interesting and I have plenty of connects, I may submit a proposal but tell them what I would charge for the job. Surprisingly, sometimes they come back and agree to my price. If it is a new client to Upwork, sometimes they just don't know what original literary creations are worth; educate them. If they are regular clients and are offering pennies, I assume they are in the habit of hiring contractors from a country where that is a fair price. They are not my clients. There are plenty of jobs out there offering fair fees. You just have to know how to find and get them. First, steer away from clients who post rates like that in their listings. I don't just mean low rates, but announcements of exactly what they are willing to pay. For fixed price jobs, they're forced to estimate a budget, but that's different from planning a rate in advance and being committed enough to it that they've written it out in the post. That suggests that they hire a lot of writers and have a set rate that they pay, versus being looking for the write freelancer to develop a more customized relationship. 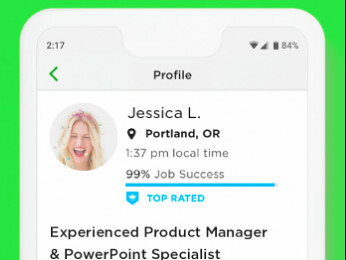 Second, be careful about accepting jobs with titles like the top one on your profile, which announces right in the job title that you're new and you work for pennies. It's hard to get even a good client to pay you well when they know that you work dirt cheap for others. I also think that if you want to get higher rates, you need to set your sights higher than 3 cents/word. 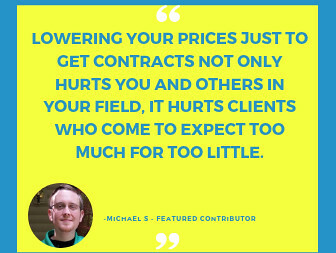 There's a break between the extreme-low-end client and more professional clients, and 3 cents won't take you to the other side of the river. Only apply to work with clients who have reasonable expectations. I see lots of clients who set the bar at $0.05 to $0.03per word. Apply to those gigs (I'm not!) There are clients who are open to negotiation. The ones who say "I will only pay X" as an absolute are probably best avoided anyway. Those same clients will have other unreasonable expectations and eventually ruin your JSS. Tiffany gave you some great tips for your profile. 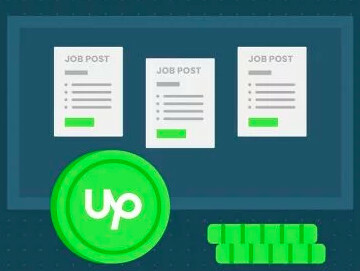 I would also recommend adding more pieces to your Upwork portfolio, instead of making prospects click to your off site portfolio to see your work. When I go looking for clients, I normally find one or two jobs that really sound like and look like they will pay me my current rate. You don't need all of the clients. You just need a few high-quality ones. $16/hr is a really low rate too. I suggest that you take one client, a start-up, and grow with him. Let it be like a partnership...If upwork allows that. You help the client grow their businesses. I also look forward towards that. That's a really limiting suggestion. Often times, clients don't have enough work to support a full workload. If I am able to get jobs at a decent rate, and I can find 4 clients who all have about 10 hours worth of work each week (apiece), then I have a 40 hour week with 4 different clients. If one of the clients no longer needs my services, I can go looking for a new one to replace their work. Putting all of your freelancing eggs in one basket seems like poor planning if you have never met the person before. I've hired a few business writers in the past. I pay them more for shorter documents. If you can say it effectively in two pages, and someone else needs three pages, you get the money. Look for businesses hiring writers on business topics (not daily SEO-driven blog posts). My clients ask me to determine if opening a foofram factory in Cote d'Ivoire is a good idea. My reply could be a single word, yes or no. I offer more analysis than that, but keep it short. My clients seek business answers; I use as few words as possible to convey my assumptions, data sources and decision-making process. I've successfully ghost-written non-fiction books, which seek to convey and convince, and the payment is for strength of writing and power of argument. I've successfully ghost-written fiction books, where the story is a specified length, and it's up to me to do the tale-spinning. I've contacted new publishers on UW and elsewhere; they agree that my writing is worth more than they can afford to pay, and I've already cut my rate to help them out. Such is life. What you are worth is a client decision. It's always a client decision, because it's the value to the client that matters. If a prospective client wants a corporate turnaround, and it's only worth $300,000 to him, I can't charge more than that. He won't pay it. If I think I can bring it in successfully and make a decent profit at $300K, I'll offer it. If I believe I can offer a successful turnaround, plus something else, I might offer that instead. You have no inherent worth; the worth of your work is its value to the client. That's not exactly accurate. Work doesn't have inherent worth, but it does have market worth--much the same as any product or service. If a particular customer decides that a lobster dinner is worth a quarter, that doesn't make the value of the dinner a quarter...it simply means that particular client won't be buying the lobster.